After the first week of the Warsaw COP, an observer could be excused for wondering what exactly the thousands of delegates meeting here were actually discussing. The closest the assembled negotiators, NGOs, business people and UN staff came to seriously talking about CO2 mitigation was when Japan announced its new 2020 target, an increase of 3% in emissions vs. 1990 (but positioned as a decrease of 3.8% vs. 2005 emissions). The change in target by Japan is a consequence of their decision to stop all use of nuclear power following the Fukushima disaster. Curiously, the Japanese announcement was criticized by China, with their climate negotiator Su Wei saying: “I have no way of describing my dismay” about the revised target. The European Union also expressed disappointment and said it expected all nations to stick to promised cuts as part of efforts to halt global warming. Christiana Figueres, the Executive Secretary of the UNFCCC told Reuters that, “It is regrettable.” Somewhat predictably, she forecast that Japan’s planned investments in energy efficiency and renewable power would prove that the target could be toughened. The Japanese decision sent one other major ripple through the football stadium holding the COP, that being the realization that national pledges are wide open to correction and change as circumstances dictate. Given that “pledge and review” is the likely foundation of the global deal that negotiators are aiming for in 2015, the Japanese move brings into question if such an approach has any legitimacy at all. Had the original Japanese target been underpinned by carbon market instruments with the robustness that we expect of financial markets, they might have felt compelled to buy the difference, which would have at least financed equivalent compensating mitigation actions in other parts of the world (although that being said, Canada took no such action when it failed to meet its goals under the Kyoto Protocol, it just rescinded its ratification instead). 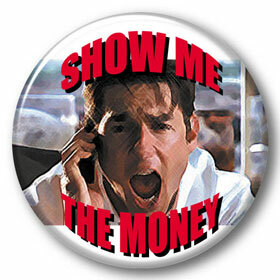 In the context of meaningful mitigation actions and transparency on implementation, developed countries commit to a goal of mobilizing jointly USD 100 billion dollars a year by 2020 to address the needs of developing countries.
. . . with the most often repeated phrase from many countries being akin to “Show me the money”. Of course, the intention of the Copenhagen Accord was never to have $100 billion per annum deposited in the Green Climate Fund by Annex 1 countries, but to develop approaches which would see at least $100 billion per annum in mitigation and adaptation investment flow to developing countries, leveraged by instruments such as the Green Climate Fund. Unfortunately this interpretation of the pledge is largely ignored. Money also rears its head in the Loss and Damage discussion where agreement was reached in the dying hours of the Doha COP to agree a mechanism for this in Warsaw. The horrors appearing across the media of the aftermath of Typhoon Haiyan in the Philippines has of course focused minds on this discussion. In their various opportunities to speak in the plenary sessions, many nations called for the Loss and Damage issue to be rapidly progressed in Warsaw. Even within the discussions on technology transfer there is a renewed call from some nations for the opening up of patents (money) on a variety of “climate friendly” technologies. The other half of any COP is the side event programme and here CO2 mitigation didn’t get much of an airing either. 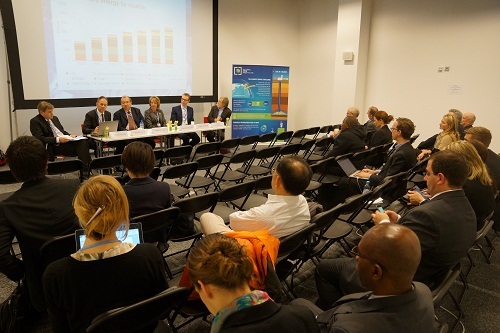 There were many side events on financing and adaptation and those on energy primarily focused on energy efficiency and renewables, neither of which offer a direct path to measurable and sustained CO2 mitigation. By contrast, the few side events on carbon capture and storage were rather sparsely attended. The rather sparsely attended but content rich GCCSI event on CCS developments. Even the “Green Climate” exhibition in the Palace of Culture was principally focused on energy efficiency in buildings, solar PV and waste management. 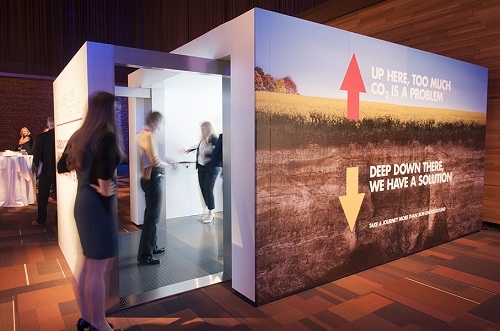 However, Shell at least kept the CCS flag waving with its novel CCS lift / elevator (something of a virtual ride to 2 kms below the surface where CO2 could be safely stored). The Shell CCS “lift” in the Palace of Culture and Science in Warsaw. So to week 2 of the Warsaw COP, which will likely end in the usual rush to a declaration of some description at the end, although in the very last hours of Week 1 on Saturday night the collected negotiators came away with nothing agreed on FVA and NMM.